Is it true that there is a healthy sugar alternative with out a down side? Could it be true? What’s the catch? No catch. It’s a one to one replacement, tastes pretty much the same if you don’t say anything nobody would even notice any difference. Then after desert you can say, oh by the way, that was a new type of sweetener made from Beets. There’s no downside folks, this is an alkaline sweetener, not acidic. Instead of being a toxic poison, this sweetener is actually healthy! So have another slice of brownie! No worries with this sweetener. Is processed white sugar bad for you? No, in fact, it’s REALLY bad for you. 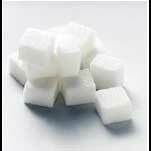 Processed sugars slam the gas pedal, pedal to the metal on the aging process. Those really pale really old looking people who aren’t really that old yet, usually you’ll find they have been eating a LOT of sugar which makes them look much older. Lakanto is the Creatures Choice. There are no side effects and there is no downside, it’s just straight up: A very healthy alternative that is far superior in every possible way, and a one to one replacement that is just as sweet and tastes pretty much the same if not better. Won’t feed the bad bacteria in your gut. Think about that for a minute. Most sweeteners are HEAVEN SENT for the BAD bacteria but this stuff does NOT feed the bad bacteria in your gut. That should be front page news right there. Lakanto is the #1 natural sweetener in Japan. It contains two ingredients… Erythritol and Monk Fruit in the perfect combination, so that it tastes practically the same as regular white sugar! It’s one-to-one with white sugar in the sweetness profile, so you can literally replace standard sugar with one-to-one measurements of Lakanto in all of your recipes. Erythritol is absorbed into the bloodstream in the small intestine, and then excreted unchanged in the urine. Only about 10% enters the colon. Because 90% of Erythritol is absorbed before it enters the large intestine, it does not cause laxative effects or gas, as are often experienced after consumption of other sugar alcohols (such as Xylitol and Maltitol). Monk Fruit doesn’t have fructose, which makes most things sweet, but it has mogrosides. Mogrosides are also zero glycemic with zero calories which is beyond remarkable. Wikipedia also states that they have additionally been investigated as possible anticancer agents. Monk Fruit’s sweetness comes from natural mogrosides that are 300 times sweeter than sugar. Modern research shows that Monk Fruit extract does not elevate blood sugar or insulin, making it a perfect sweetener for blood sugar and weight management. Try it, you’ll like it. It’s a ONE TO ONE replacement for processed toxic white sugar which everyone knows has extremely bad side effects, especially for long term consumption. Nobody on the planet is saying that processed white sugar is GOOD for your health. It would be exactly the same as the tobacco lobby once was. A bit futile really. Hard to mount an argument in favor of tobacco or processed white sugar, it would be like denying the existence of poison, which is what they both are. Slow acting but deadly just the same. If you love to make delicious deserts and try to get some new healthy recipes, this could be at the heart of your experiments. Why wouldn’t it? Personally, I love the taste of Lakanto. It’s an alkalyne sweetener while the white sugar is an acidic sweetener. Night and day really. Apples and Toxins. Apples and Toxins and Acid oh my! I choose the apple nowadays. I choose the healthy sweeteners for all my recipes nowadays. My brownies are beyond delicious and people rave about them begging me to make more! Once you get into these alternative sweeteners and sugar replacements like this, you can’t go back! Be forewarned, you have never tasted foods this delicious yet. You are in for a phenomenal treat as you explore these healthy sugar alternatives nowadays. It’s like when you first discovered that some small restaurants make far superior burgers than the fast food joints. I know of a place called Gus’s in Pasadena that comes to mind. Once you have THAT burger, a fast food burger is never going to be at ALL appealing. Truth has a way of impacting folks. That’s the power of metaphysics really isn’t it? Then later as a vegetarian, you might no longer find those veggie patties packed with soy at all desirable, instead, you might now enjoy a jackfruit sandwich instead. Remember all those cheap veggie patties we used to think were so delicious and healthy. Now we know the truth about soy products by and large being highly toxic and 95% GMO in this country now. There are very few “soy” products I would consume in 2016, but that’s for another post. The point is: Something that was once very delicious and appealing such as a candy bar packed with processed sugar (and rodent hair most likely) might not be at ALL appealing for you once you have discovered superfood deserts such as coconut cacao brownies with maca and walnut for example. You find yourself sitting there eating this most incredible desert while at the same time thinking about how HEALTHY this food actually is at the same time. It’s hard for the brain to even compute this. Normally something this delicious is BAD for you right? Turns the tables completely and you’re now eating SUPERFOOD DESERTS instead of toxic sugar drenched teeth rotting and disease causing toxicity like a normal cake or brownies which typically will contain NOTHING of any value nutritionally. Here you are sitting there eating RAW COCONUT FLOUR, RAW COCONUT BUTTER, RAW ORGANIC CACAO, RAW ORGANIC MACA, and every ingredient is STELLAR for your mind and body. Why havn’t we been eating this stuff all along? The ancient Egyptians and Mayans were. They knew about many of these superfood deserts. They also incorporate SPIRULINA in their Cacao desert treats. Superfood Treats. Superfood Deserts. It’s a bold new world out there, where have you been all this time? Maybe it’s time to dive in… I’m no professional chef, and yet I’m having no trouble making incredible deserts simply swapping in the highest quality ingredients. Swap the white sugar with this stuff. Swap the butter with Coconut butter. Swap the flour with Coconut Flour. Swap the Milk with fresh homemade almond milk. You wind up with this spectacular superfood desert. You may go astray here and there with your experiments, but I have found 9 times out of 10, I wind up with something that is beyond delicious, without the guilt! Sweeteners. This one is a real eye opener, tastes great as a direct sugar replacement. Also an amazing sweetener, in case you don’t know. wine, there are many great vintages in Vermont especially. Personally I always have Lakanto AND Maple Syrup on hand. processed white sugar anymore. I don’t eat “high fructose corn syrup” either. two sweeteners and we rarely run out. The Lakanto and the Maple are fantastic options to have on the kitchen counter when I’m cooking. Guess what. That lakanto is actually SWEETER THAN SUGAR. Oh man! Actually, after further experience, lakanto is really a bit LESS sweet than sugar. There might be some various from bag to bag. I think it varies a little, depending on what you’re making as well, but generally I think you need a little more than 1 to 1. I’d say you need a cup and a half of Lakanto for every cup of toxic processed sugar you would normally use. I think generally it’s a LITTLE bit less sweet than refined sugar so add a touch extra maybe, but again depend on the batch and the recipe you’re following as well as your personal taste, maybe you like it less sweet than normal sugar! Yes, it tastes the same, no, it’s not really one to one. You usually need to hit the Lakanto a bit harder if you want the same sweetness, right now I”m going to say 1.5 to 1 (lakanto to sugar ratio). Just try it! It tastes the same without the horrible health hazards. Whether you do 1 to 1, or 1.5 to 1, it’s going to be delicious without all the nasty side effects. Final note: Fact is, the lakanto doesn’t taste as good as raw maple syrup, or maple syrup crystals. It just doesn’t. Almost nothing on earth tastes as delicious as maple syrup if you ask me. So my first go-to is always raw maple, that’s my personal taste. Having declared that, I sometimes use lakanto as a sugar replacement for things like brownies or cookies. Hey, it’s new, who knows! I have only tried lakanto with brownies and cookies where it TRULY shines in my opinion nobody would even notice any taste difference. Definitely does NOT taste sugar-free, it’s full bodied natural sweet. If I can AFFORD it I get the maple, if not the lakanto is a huge step in the right direction. The maple I tend to favor for teas and coffees or crazy cool custom tonics, but mostly I favor it when I can AFFORD it. That is a factor with this stuff.